One of the Midlands most successful housing associations, whg, has extended its use of housing technology through the deployment of Managed Services. By choosing this route, whg has not only boosted Value For Money (VFM) but also significantly reduced the time taken for new services to become fully operational. The first phase of whg’s technology investment was the Aareon 1 Touch mobile responsive repairs system. This is currently used by many of the 250 trades colleagues that maintain the business’ stock of more than 21,000 homes. Subsequently, whg added gas and electrical inspection modules too. Having reviewed the market extensively, the multi-platform Aareon systems were chosen, as they allowed whg to write its own forms, deliver superior audits and to easily update its mainframe with data in real time. There was a desire from whg to move at a pace and to be as cost effective as possible. Having extensively reviewed all the available options, Aareon’s Managed Services facility stood out as a solution to achieve this. This would allow whg to quickly access the services it needed which would be expertly managed by Aareon. Within just a few months of going down the Managed Services route, Aareon has deployed all the desired solutions whg required and has fully integrated them with the existing back office mainframe system. Not only were the solutions up and working extremely quickly, there was limited requirement for additional internal colleagues to support the solution. “The initial phases of our technology investment had been very successful. 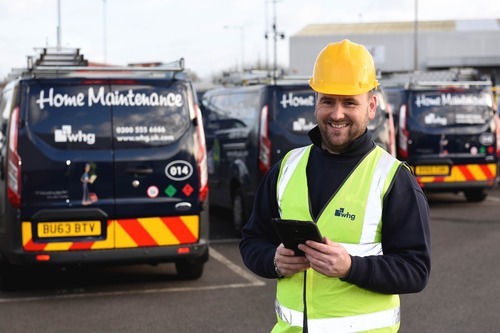 Our repairs processes are now more efficient and there are significant savings too; like no longer having to pay £70,000 to generate gas or electrical certification or using the existing Contractor module of their housing management system, which saved £50,000. Paul O’Reilly, Aareon UK’s Head of Account Management welcomed these comments, adding; “Many of our social housing customers want to ensure that they are using their technology estate to the very best for their tenants, whilst pursuing optimal VFM and the best possible use of resources. Managed Services helps them to achieve this.